Maybe you recently moved into a new home, and you have been wanting to invite your friends and colleagues over for a get-together at your new place. Now that you are settled in, you have decided to see if everyone on your guest list can make it over for a barbecue. As with most things, you like to make sure everyone is going to have a good time. For this reason, you want to make sure that you address any safety concerns that might become a problem. Here are four safety issues you will need to consider before your guests arrive. One of the dangers of using a grill at a backyard barbecue is smoke inhalation. Smoke contains carbon monoxide and polycyclic aromatic hydrocarbons (PAH), which are both harmful. This makes using a grill in an enclosed area unsafe, so give your grill room outside for air to help disperse these compounds. 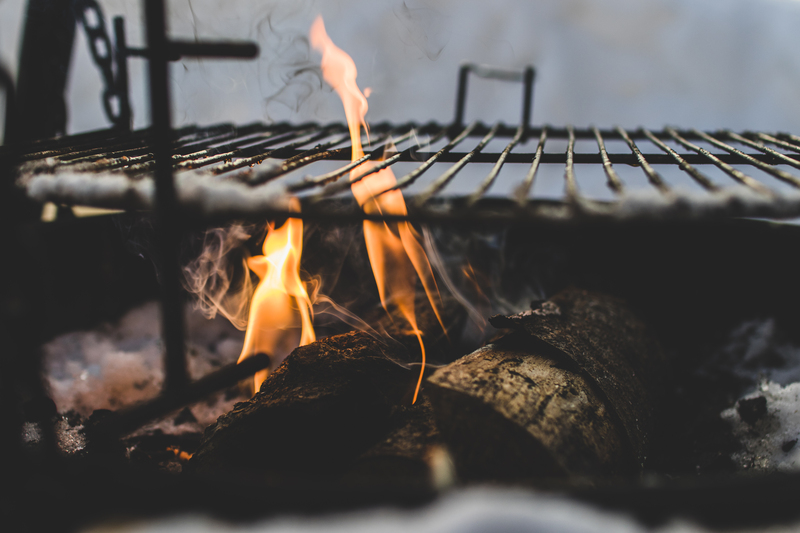 Cleaning your grill, not leaving the gas on while the grill is closed, and keeping your grill ten feet or more away from other structures helps to prevent fires and explosions from occurring. You will need to be mindful of how you are handling food when you are grilling. Making sure you clean surfaces where raw meat has been is important to prevent cross contaminating food with bacteria like salmonella. Also, be sure to wash your hands with soap and warm water after handling raw meat. Not consuming food that has been sitting out too long, such as potato salad, can also help to prevent problems with food poisoning. If you have a pool, or your yard backs up to a body of water, you will need to remind everyone to keep an eye out for snakes. It is also important to be mindful that small children are not wandering off toward the water. A small child could drown, which would obviously be a terrible tragedy. Assess your yard for problems with any structures that people might get hurt on. Nails sticking out of wood, sharp corners on a deck, and drop offs—from an unfinished porch, for example—are all concerns to address to prevent an accident from occurring when your guests visit. Nothing can ruin a friendly backyard barbecue like bees, wasps, or yellow jackets flying around and bothering your guests. What’s more, a sting from one of these aerial insects can send an allergic guest to the hospital. For this reason, consider investing in pest control. It is best to do this well in advance of the day your guests arrive. You may even need professional help to find nests or hives, because removing the homes of such insects can be treacherous and dangerous if you are not sure what you are doing. By taking a few reasonable precautions, your backyard barbecue is going to be a safe event for your friends and colleagues to attend. Whether they realize the lengths to which you have gone to ensure their safety or not does not really matter so much. What is important is that you can rest easier knowing that you did everything you could to prevent hazards from ruining a day meant for good food and enjoyable company.